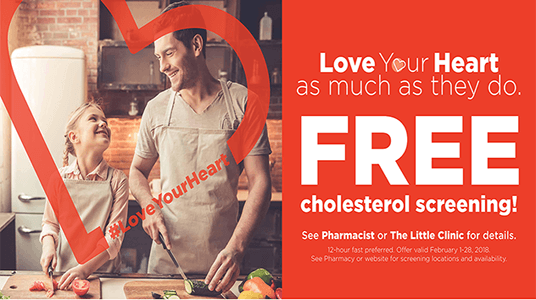 Get a FREE Cholesterol Screenings at Kroger Stores! Kroger and Kroger affiliate stores are doing free Cholesterol screenings this month. Enter your zip code to find a date and time available near you. This is a fasting test. No food or drink for at least 12-hours prior to screening. Water and medications are okay.